The case discussed in the present blog stands out, because of the explicit reference to Article 47 of the Charter in the request for a preliminary ruling. 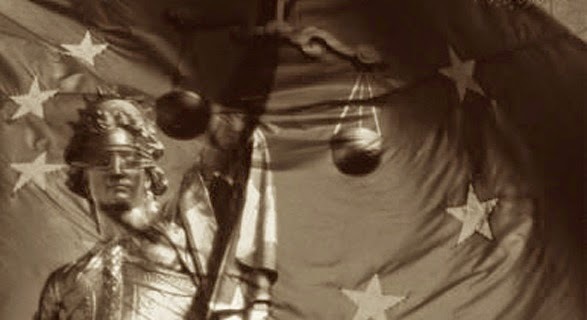 The 'referring court' (one of the questions at issue is whether the Secretario Judicial - court registrar - can actually be regarded as a court or tribunal for the purposes of Article 267 TFEU) has asked the EU Court of Justice whether certain procedural rules are incompatible with Article 47, in that they preclude the possibility of judicial review. In Spain, there is a special procedure (jura de cuentas) available to lawyers for the recovery of unpaid fees that are owed to them by their clients. Unpaid fees could be a sign of a soured relationship, and lawyers would rather not litigate against their clients; for them, jura de cuentas is a preferably 'evitable' (avoidable) evil. AG Kokott's opinion makes clear why it might be an 'evitable' evil in light of EU law as well. To relieve the judiciary, the exclusive competence to deal with the jura de cuentas procedure has been transferred to the Secretarios Judiciales. The procedure is optional; lawyers can still choose to initiate court proceedings. The applicable procedural rules preclude the Secretario Judicial to examine ex officio whether the contracts between lawyers and their clients (natural persons), on the basis of which recovery of unpaid fees is claimed, contained possible unfair terms or unfair commercial practices. AG Kokott's conclusion that those rules are incompatible with Directive 93/13/EEC (on unfair terms in consumer contracts) is perhaps not very surprising, against the background of the CJEU's case law. The opinion is more interesting from the perspective of Article 47 of the Charter, which safeguards the right to effective judicial protection against violations of the rights and freedoms guaranteed by EU law. "the obligation for the Member States to ensure the effectiveness of the rights that the parties derive from Directive 93/13 against the use of unfair clauses implies a requirement of judicial protection, also guaranteed by Article 47 of the Charter, that is binding on the national court (see, to that effect, judgment in Banif Plus Bank, C‑472/11, EU:C:2013:88, paragraph 29). That protection must be assured both as regards the designation of courts having jurisdiction to hear and determine actions based on EU law and as regards the definition of detailed procedural rules relating to such actions (see, to that effect, the judgment in Alassini and Others, C‑317/08 to C‑320/08, EU:C:2010:146, paragraph 49)." The first element is the 'reversal of the dispute' or 'shift of initiative' to the client/consumer, who needs to oppose the claim before the proceedings become contradictory (para. 41). Only then, the case will be more closely examined on the merits (paras. 44-47). Secondly, the decision of the Secretario Judicial is non-appealable and immediately enforceable, even though it does not obtain res judiciata force (paras. 48-50 and 91). In AG Kokott's view, enforcement of the decision is equated - by the Spanish legislator! - with the enforcement of judicial decisions, just like judgments given in preliminary relief proceedings (paras. 51-60). This means that there is neither an obligation for the Secretario Judicial to ex officio examine possible unfair terms, nor an opportunity for the client/consumer to raise a defence that would suspend the enforcement proceedings. Although these elements are not listed as such by AG Kokott, they directly support her conclusion that the procedural rules at issue are contrary to Article 47 of the Charter as well as Directive 93/13/EEC (read in conjunction with Directive 2005/29/EC concerning unfair business-to-consumer commercial practices). All these elements resonate with the right to effective judicial protection, which includes - inter alia - the right to an effective, proportionate and dissuasive remedy, respect for the rights of the defence, the right to be heard and the principle of equality of arms. The opinion demonstrates that Article 47 of the Charter can provide a framework for the assessment of procedural rules that govern legal disputes falling within the scope of EU law, in this case: a dispute about a contract possibly containing unfair terms (and unfair commercial practices). If and to what extent Article 47 and the principle of effectiveness or the 'full effect' of EU law overlap, remains to be seen. In this respect, the 'referring court' makes a distinction between judicial review in general (question 1) and ex officio examination under Directive 93/13/EEC (question 2). AG Kokott does not separate the notion of judicial review and Article 47 of the Charter from the context of Directive 93/13/EEC, probably because Article 47 has an accessory character: it always requires a connecting link with a substantive provision of EU law. That does not mean that Article 47 does not have anything to contribute. AG Kokott seems to recognise this in her opinion. The question of admissibility has not been addressed in this blog. However, AG Kokott's views as regards the independence of the Secretario Judicial (paras. 71-81) are worth reading. It is interesting to note that the Spanish government has argued that the Secretario Judicial cannot be considered as an 'externally' independent authority, which has sparked a discussion about the transfer of quasi-judicial competences away from the judiciary and the Rule of Law (cf. para. 86). If the CJEU follows AG Kokott's conclusion that the request should be declared admissible, it will be difficult to avoid a reference to Article 47, which is an expression of "the fact that the Union is a community based on the rule of law" (see the Explanations relating to the Charter of Fundamental Rights).